2BM is a member of United VARs, the leading alliance of SAP solution providers for the mid-market. 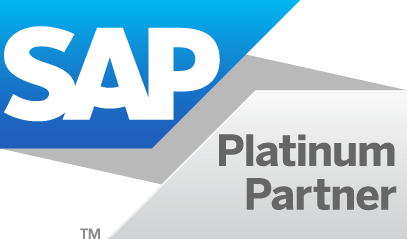 As a Platinum Partner, UnitedVARs is certified with the highest SAP status. This means United VARs is among the leading solution providers in the world with over 10 years of experience, guaranteeing the best service and support for your international roll-out projects, ERP optimization projects, and cross-border nearshoring. GLOBAL REACH: Network in over 90 countries covering the most relevant markets with one central project lead for your global SAP implementation project. LOCAL FEEL:Tailored on-site service & support thanks to knowledge about language, culture and local & legal requirements and changes. Country-specific add-ons. MARKET LEADERS: United VARs members are hand-selected technology leaders. Only the best local SAP partners can become members of United VARs, regarding their years of experience, SAP status, and industry-specific SAP knowledge. INTEGRATION EXPERTS: Integration and optimization of your global systems creates uniﬁed processes, transparency, and uniform reporting. Are you planning an international project?